All nurses should know a bit about the profession’s development. Books on nursing history give you a greater understanding of today’s nursing care. Biographies of Canadian nurses can be fun and enlightening. Go browsing in the nursing history or biography sections of the Helen Randal Library at the College of Registered Nurses of B.C. or in your college, university, or public library. Many of these books are available there. Look for books you would like to read. This “starting sample” can help guide your background in history of nursing. It is directed mainly to nurses who have not done much reading in history of nursing and it emphasizes Canadian and British Columbia materials. The list recommends books (and, occasionally chapters of books) rather than articles (which you can easily access through computer literature searches, such as CINHAL). Note that this list is not in APA format; it is not alphabetical, and it uses the full first names of authors rather than initials. You also can look for information on History of Nursing on the Internet. As always with information you get online, you need to keep credibility in mind; much Web information is oversimplified, and some seemingly factual information may be incorrect. You have already found the B.C. History of Nursing Society’s Web site. You can also try the Canadian Association for the History of Nursing site. An easy-to-use, easy-to-access site is maintained by the American Association for the History of Nursing; this naturally emphasizes American nursing – which, let me tell you, differs markedly from Canadian nursing. This “old” book is a classic, and the best and most reliable Canadian text on nursing history up to 1945. Most others draw on this one. Bates, Christina, Dodd, Dianne, & Rousseau, Nicole. (2005). On all frontiers: Four centuries of Canadian nursing. Ottawa: University of Ottawa Press/Canadian Museum of Civilization. The new and exciting book is not without flaws. For one thing, it has no index, so it is difficult to find specific information quickly. For another, there is no mention of the major roles that Canadian nurses played in international nursing, nor are there any vignettes that relate to these nurses (Lyle Creelman, Beverly Du Gas). Nor does there appear to by any mention of the roles that nurses played in provincial or federal governments (Alice Smith, Verna Splane, Anne Sutherland Boal). Nor in the education section is there any mention of the challenges in establishing nursing master’s and doctoral programs in nursing in Canadian universities. However, On All Frontiers is an important addition to health sciences history mainly because, as it intends to do, it introduces the fabulous collection of nursing artifacts in the Canadian Museum of Civilization. Check the CMC web site (www.civilizations.ca – with an S). Green, Monica M. (1984). Through the years with public health nursing: A history of public health nursing in the provincial government jurisdiction, British Columbia. Ottawa: Canadian Public Health Association. Classic in the public health nursing field. There are plans to put it online. Rutty, Christopher, & Sullivan, Sue. (2010). This is public health: A Canadian history. Ottawa: Canadian Public Health Association. 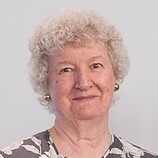 Brown, Debra J. (2000). The challenge of caring: A history of women and health care in British Columbia. Victoria: B.C. Ministry of Health and Ministry Responsible for Seniors Women’s Health Bureau. Overview published by the B.C. Women’s Health Bureau; there are some minor inaccuracies. Baumgart, Alice J., & Larsen, Jenniece (Eds.). (1992). Canadian nursing faces the future (2nd ed.). St. Louis: Mosby Year Book. This “trends and issues” text incorporates recent history throughout most of the chapters. Remember: History is everything that has happened up until today — and it influences everything that is happening today. Mansell, Diana J. (2003). Forging the future: A history of nursing in Canada. Ann Arbor, MI: Thomas Press. This text attempts a new perspective for examining history of nursing in Canada and has received some hot debate among Canada’s nursing historians. Du Gas, Beverly W., Esson, Lynne, & Ronaldson, Sharon E. (1999). Nursing foundations: A Canadian perspective (2nd ed.). Scarborough, ON: Prentice Hall Canada. This basic nursing text opens with an introduction on history of nursing and weaves history throughout its text. It also contains brief biographies of some important Canadian nursing leaders (see “Looking Back” sections). This small, “fun” book exposes some myths about nursing – but creates others! McPherson, Kathryn. (1996). Bedside matters: The transformation of Canadian nursing, 1900-1990. Toronto: Oxford University Press. McPherson is from the history department at York University and is one of the leading Canadian history of nursing scholars. This book is for serious, discriminating history of nursing readers. Donahue, M. Patricia. (1996). Nursing, the finest art: An illustrated history (2nd ed.). St. Louis: C.V. Mosby. A “coffee-table” art book of great beauty and merit, but it has some deficiencies. For example, it is a U.S. work and does not deal well with Canadian or international nursing in modern times. It is in most libraries, and you should browse through it sometime, if only for the pictures. Written 150 years ago, this little edition is fun to look at and many of its principles still apply today. Ross-Kerr, Janet C., & Wood, Marilynn J. (2011). Canadian nursing: Issues and perspectives (5th ed.). Scarborough, ON: Mosby Canada (Elsevier). This text contains sections on nursing history and much of the early information is derived from Gibbon and Mathewson, but the components on current trends and issues are excellent. Canadian Association for the History of Nursing. (1997). Past is present: The CAHN/ACHN keynote presentations 1988-1996. Vancouver: Author. The Canadian Association for the History of Nursing is a special interest group of the Canadian Nurses Association. Each year it invites an internationally renowned speaker. The 10 papers in this book provide a fascinating glimpse into historical research in nursing. A light-hearted, but thought-provoking look at the history (“herstory”) of Canada from the perspective of women. It has a small section on nursing. Zilm, Glennis, & Warbinek, Ethel. (1994). Legacy: History of nursing education at the University of British Columbia 1919-1994. Vancouver: University of British Columbia School of Nursing. This history of the nursing program at UBC also contains much general background information on history of nursing in British Columbia. Simpson, Sharon, & Abbott, Karen. (2010). Traditions and transitions: History of the nursing programs at Thompson Rivers University, 1973-2003. Kamloops: Authors. When the hospital school of nursing at Kamloops’ Royal Inland Hospital closed in 1973, a new college-based program of nursing education for nurses opened at Cariboo College (later University College of the Cariboo, now Thompson Rivers University). This book describes the nursing programs from 1973 to 2003 within a context of political, social, and professional happenings in the late 1900s. Harrison, Carol. (2011). A passion for prevention: Public health nursing in Skeena Health Unit, 1937-1997. [Terrace, BC:] Author. Pearson, Anne. (1985). The Royal Jubilee Hospital School of Nursing 1891-1982. Victoria: The Alumnae Association of the Royal Jubilee Hospital School of Nursing. Luxton, Donald. (2006). Vancouver General Hospital: 100 years of care and service. Vancouver: Vancouver Coastal Health Authority. Robertson, Betty, Marcellus, Catherine, & Dandy, Betty. (1992). Mission’s living memorials. Mission, BC: Mission Hospital. Ethel Johns was a pioneer Canadian nursing leader. Among other things, she was the first director of the University of B.C. School of Nursing (first university school of nursing in the British Empire). This excellent biography also provides a great review of early Canadian nursing history. Royce, Marion. (1983). Eunice Dyke: Health care pioneer — from pioneer public health nurse to advocate for the aged. Toronto: Dundurn Press. An interesting biography of the first superintendent of the Toronto Department of Public Health. Eunice Dyke lived 1883 to1969. This biography of one of Canada’s early nursing leaders using a feminist perspective that illustrates hierarchical attitudes of trustees, physicians, and politicians toward nurses and nursing. During the Depression, this new graduate was thrilled to get a job as a missionary nurse to go to China, where she eventually ended up working with Canadian icon Dr. Norman Bethune during the Chinese Revolution. This down-to-earth, readable autobiography was a best-seller during the 1980s, and it also provides interesting glimpses into nursing history. Because Nightingale is a major force in nursing, as well as in other health care fields, all nurses should know a bit about her life. Woodham-Smith’s biography is the best-known and most popular of several biographies on this “founder of modern nursing.” Some praise her too strongly; others are highly critical, but almost any one of them gives you interesting background. The three listed below are among the better books in this field. A 14-volume Collected Works of Florence Nightingale, edited by Dr. Lynn McDonald of the University of Guelph with contributions by several Canadian nursing historians, can be found in many online library collections; see http://www.uoguelph.ca/~cwfn/Introduction/index.html . As well, dozens of excellent sources on Nightingale are available online – but use discrimination and good judgment in assessing them. Baly, Monica E. (1998). Florence Nightingale and the nursing legacy: Building the foundation of modern nursing and midwifery (2nd ed., rev.). Philadelphia: BainBridge Books. Brown, Pam. (1988). Florence Nightingale: The tough British campaigner who was the founder of modern nursing. Watford, Herts, UK: Exley. Books by and about nurses who served with the Canadian Forces, especially in World Wars I and II, are plentiful and interesting. These are just a few to get you started. Landell’s three volumes contain excellent brief summaries of the various military campaigns as well as autobiographical and biographical notes about individual Canadian Nursing Sisters (now called Nursing Officers), including the grassroots nurses; this wonderful historical collection was put together by a former Nursing Sister who did these books after her retirement in B.C. Landells, E[dith]. A. (1995, 1999). The military nurses of Canada: Recollections of Canadian military nurses. Three volumes. White Rock, BC: Co-Publishing/ Addison Graphics. Nicholson, G.W.L. (1975). Canada’s nursing sisters. Toronto, Samuel Stevens/Hakkert & Company. Bongard, Ella Mae. (Edited by Eric Scott). (1997). Nobody ever wins a war: The World War 1 diaries of Ella Mae Bongard, R.N. Ottawa: Janeric Enterprises. A delightful memoir and diary by a World War I nurse. Duffus, Maureen. (2009). Battlefront nurses in WWI: The Canadian Army Medical Corps in England, France and Salonika, 1914-1919. Victoria: Town and Gown Press. Excellent exploration of the wartime experiences of Victoria Nursing Sisters Elsie Collis and Mary Morrison (the author’s aunt), based on their diaries, by a well-known and popular local historian in Victoria.